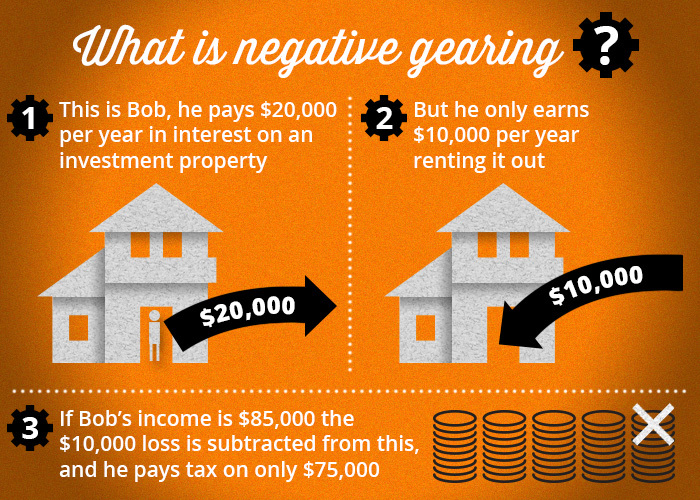 Why is everyone talking about Negative Gearing and how does it affect you? There has been a lot of debate surrounding Negative Gearing and its affects recently after the Turnbull Government announced there would not be any changes to Negative Gearing and the Capital Gain Tax. The REIV and REIA have both shown their support for the announcement; with rental affordability and availability being the biggest issue should changes be made to Negative Gearing. If you don’t know what Negative Gearing is or how it works, we have tried to lay it out as simply as we can. Why does Labor want to change Negative Gearing? This would make housing more affordable for home buyers, especially those Generation X, Y and Millennials kids who are finding it harder to afford buying a home, but in doing so decreases house values for current home owners. So how could Negative Gearing affect you? As an investor, Negative Gearing changes could affect the amount of income earned from an investment property, however the affects to renters is far greater. With less return for investors, anyone who is currently benefiting from Negative Gearing is more likely to sell their property. An REIQ survey has found that 79 per cent of property investors in Queensland would sell their properties if Labor’s negative gearing changes were brought in. So if you are a renter, expect fewer rental properties on the market and the few that remain as rental properties will see a price rise due to increased demand. This pushes renters into purchasing a property if rental prices become unaffordable or unavailable. REIQ Chairman Rob Honeycombe said the findings confirmed that changes to negative gearing would be disastrous for the Queensland property market. “We now know for a fact that 79 per cent of respondents will get out of property and find an alternative investment strategy that works more effectively and yields a better return,” he said. “That will have a crippling effect on house values and on the rental market, where the private rental market plays such a critical role in keeping rents affordable,” he said.